Amid the ongoing and impassioned national debate over recent officer-involved shootings, The Texas Tribune took on a massive open records effort: tracking six years’ worth of police shootings in Texas’ largest cities. This week, we launch “Unholstered,” a nearly yearlong investigation into when and why officers used lethal force in Texas between 2010 and 2015. Needless to say, emotions run high on this issue. Police officers respond to calls every day uncertain of the dangers they face as they protect our communities. Families of people who have been shot by police say there must be greater discretion before officers resort to lethal force. Officer-involved shootings have divided communities nationwide and generated heated debates about police and race. Our original reporting followed the unrest in Ferguson, Missouri. Months after our research began, shootings in Minnesota and Baton Rouge inflamed tensions and drew national headlines. Amid those tensions, police became a target for even more violence. A gunman killed three officers and wounded three others in Baton Rouge. Here in Texas, five officers were killed by a sniper while they protected protesters in a downtown Dallas demonstration. Nine officers were wounded. For “Unholstered,” we collected and analyzed data from the state’s 36 largest cities. We interviewed relatives of people shot by officers. We spoke with police departments to learn more about their policies and de-escalation strategies. We were able to take on such an ambitious project thanks to our readers, who helped fund Unholstered via the crowdfunding-for-journalism site Beacon Reader. Of the 656 police shootings we analyzed from 2010 to 2015, nearly 38 percent were fatal. Police shootings most often occurred after a robbery call or investigation — and not during traffic stops, which are often cited as high-risk interactions that lead to shootings. In cases where we were able to determine the race of individuals, nearly 41 percent of those shot at by police were black. It’s virtually impossible to know how many Hispanics were shot because not all police departments distinguish between race and ethnicity. Though these results are extensive, they aren’t comprehensive. Our investigation also revealed that record-keeping on police shootings remains spotty and sporadic, despite recent legislation requiring statewide reporting. 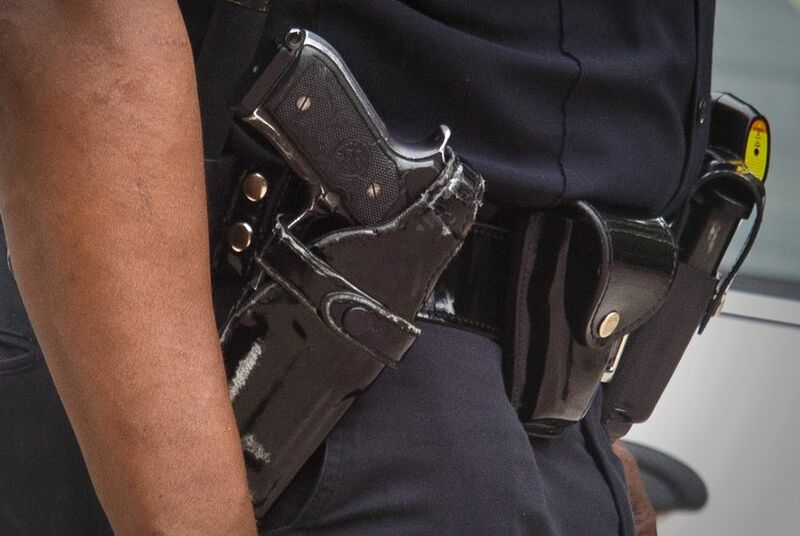 Our reporters pursued Unholstered to provide a data set that simply didn’t exist, and to give Texans the tools to understand the challenges and conflicts around police shootings in their state. We think it is a nuanced, thoughtful and compelling project, and we hope you agree. We would love your feedback on Unholstered; feel free to email it to us at unholstered@texastribune.org. And join us Friday at 1 p.m. central for a discussion on police shootings in Reddit's IAmA thread with a criminal justice lecturer who worked as a police chief for 11 years.